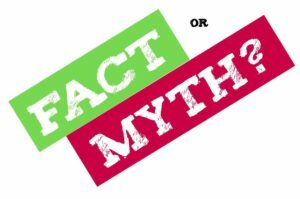 Food myths and facts ? Food is associated with many myths that sometimes have no scientific basis. You have to decide, what is right or wrong for you The fundamental principle is never to follow anything blindly. It was food myths in earlier times, people were not aware that the newborn baby should be given only mother’s milk. Only that is perfect for digestion and has no risk of infections. Honey can contain bacteria, which can make the baby sick. Papaya is rich in Vitamin A the need for which increases during pregnancy. Unripe papaya might create problems, but ripe papaya can be eaten. All sour fruits have abundant vitamins, especially Vitamin C which is excellent for increasing immunity. In fact, studies show that children who eat citrus fruits are not prone to a cough and cold. Starving makes the metabolism sluggish and thereby one cannot burn the excess calories, and until that happens one can never lose weight. Eat frequent small meals if you plan to lose weight. The selection of foods is very important. It is another food myths.Certainly not. ‘Fat-free’ means free of trans-fat (bad fat) but there are calories present. Not true. There is no scientific backing for this claim. In reality, apart from cooking all types of vegetarian and non-vegetarian foods, a microwave oven is also extremely useful for defrosting, boiling, baking etc. The truth is microwave ovens are non-ionising appliances; they do not change the physical and chemical properties of food. Microwaves are just another form of energy and are totally safe. Not true. Olive oil’s smoking point is about 375°F and most frying is done below that. Not true. Boiling does not destroy even micro-organisms, let alone heavy metals, pesticides, herbicides, nitrates, phenol or oil products. So, this is not enough for its purification. Besides, beneficial salts of calcium and magnesium settle at the bottom of the pan after boiling. Not completely true. The liver certainly stores many vitamins, minerals and protein, but it also contains a lot of fat and bad cholesterol, which can be harmful. Not true. Experiments showed that when identical pieces of meat were cooked with and without hearing both of them lost the same amount of weight during the cooking process. While sharing certain chemical reactions take place the dish. creating new flavours which enhance the dish. In reality not only does milk make them softer but also adds more flavour. Not true. Well, some people also lose weight or stay the same! Weight gain, if there is any, is always short-term weight gain. It is far healthier to be an overweight non-smoker than to continue smoking for fear of putting on weight. Actually, the reverse is true. Skimmed milk and semi-skimmed milk have more calcium because the calcium is in the watery part, not the creamy part. Bananas are actually low in fat. There is only half a gram of fat and 95 calories in a banana. They are terrific, hygienic and handy as a snack. Not true. Most of the capsaicin is contained in the white flesh to which the seeds cling. The seeds have little or no capsaicin but taste hot because when you cut a chilli open, capsaicin is released and absorbed by the seeds. Therefore, by removing the seeds the spiciness is not lessened. Not true. Different thickening agents like wheat flour, refined flour, cornflour and arrowroot function differently and add different flavours too. Not true. If you remove the raw potato from the soup, the potato will taste salty as it has simply soaked up some of the salty liquid. Still, there is hope for salty stews: adding a bit of vinegar or sugar can cancel out the saltiness by giving your taste-buds competing flavours. True and false. Baking soda will still have power a decade on, but the baking powder has a shelf life of about a year. What’s the difference? Both are leavening agents but baking powder contains an acid that allows it to react in recipes as soon as , it gets wet, giving off the carbon dioxide that makes a cake rise. Baking soda has no acid; it relies on acids in the batter to activate it. If baking powder gets wet or is stored in a humid environment, out if our baking powder is still good, put some in a glass of its potency is diminished. To find out if your baking powder is still good put some in a glass of water. If it bubbles, use it.